Have you seen a large orange winged beast floating over your garden, looking like a stained-glass window as it alights on a nectar-rich flower? 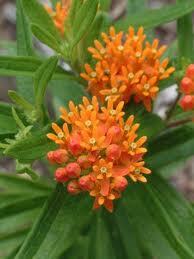 This is no ordinary winged-creature, but the renowned and regal Monarch butterfly (Danaus plexxipus). Have you witnessed a large, red-bodied and clear-winged monster gliding over a local parking lot or open field? Though humble in appearance, this creature is no simpleton either. It is perhaps the most daring insect in the entire world, the Wandering Glider dragonfly (Pantala flavescens). What, you may ask, do these two insects have in common? They both travel unimaginable distances every year, and both occur in southeast Ohio. Monarch butterflies travel almost up to 4,300 miles every year! Flying north from Mexico in the spring, they mate and deposit eggs on milkweed plants, which the young caterpillars feed on. The caterpillars hatch, metamorphose into adult Monarchs, and continue northward towards Canada as spring and summer progress. As fall creeps in, they head south. 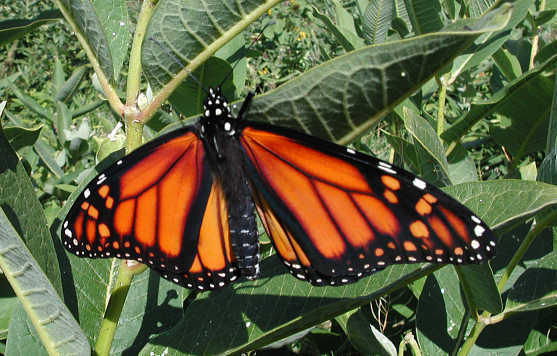 Now, these monarchs are the great-great grandchildren of those that originally took flight from Mexico in the spring. Yet, they still know exactly where to go, by using their stored fat reserves, they maintain enough energy to return to their ancestors’ wintering grounds in a very specific mountainous region in central Mexico. Millions of monarchs roost together in these mountains, staying through the winter and into spring, when they will again fly north. Milkweed and other flowering plants are crucial to Monarch migration, so do your part to keep them fueled on their journey by planting any species of Asclepias in your gardens at home. Aside from being important host plants for migratory species, they have very attractive floral displays that can add natural beauty to your property. Wandering Gliders are no less impressive. 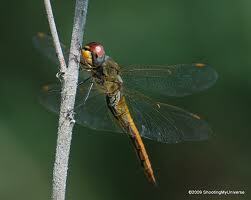 Also called the Globe Skimmer, they are the world’s most widely distributed dragonfly. It is no wonder, as they have recently been documented to make an astounding 11,000 mile round trip journey across the Indian Ocean. In short, these mind-boggling little Odonates follow monsoon rains throughout India, Africa, and island systems in between. They lay their eggs in temporary pools left by the rains, and the eggs hatch into nymphs. The nymphs feed on mosquito larvae and develop into adults in as little as five weeks. Where Monarchs use fat reserves to travel, Globe Skimmers use this unique adaptation—rapid development into adults—to traverse the globe. In Ohio, they follow the breeze and weather patterns, eating insects as they glide on the wind. Limiting the use of pesticides can help ensure the preservation of these amazing creatures in our corner of the globe.